The Estelle bonnet matches the Estelle gown and the Lily Gown. 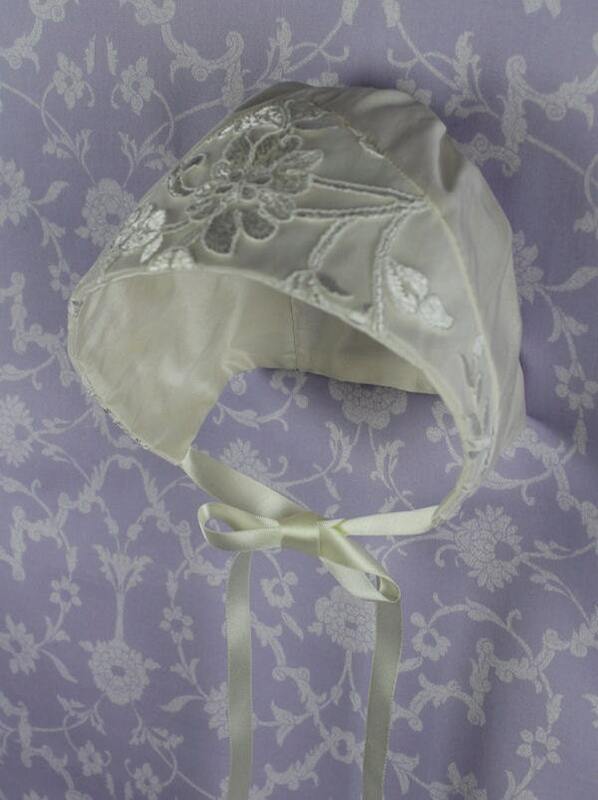 This simple pretty bonnet is truly delightful. 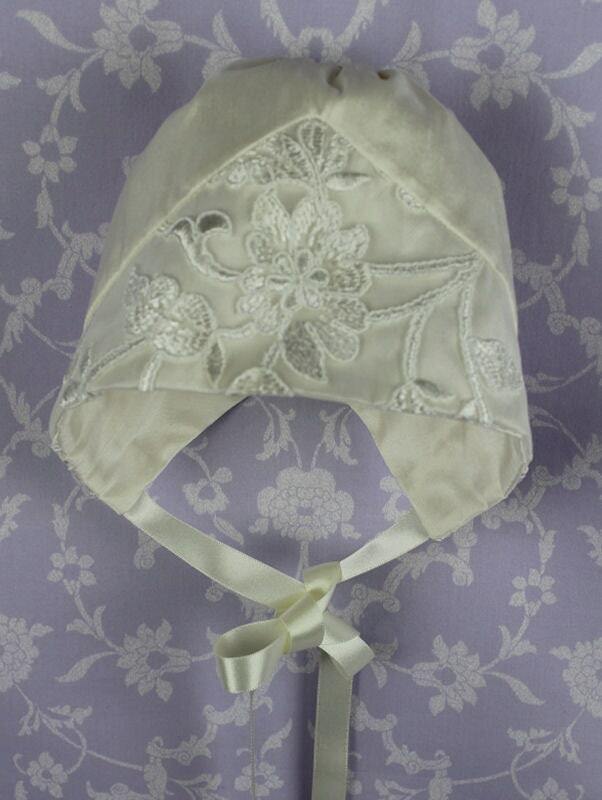 The lace runs across the front of the bonnet and expands to a point on the centre of the crown very tailored. Gown but will blend with any of the gowns. The Estelle bonnet matches the Estelle booties. 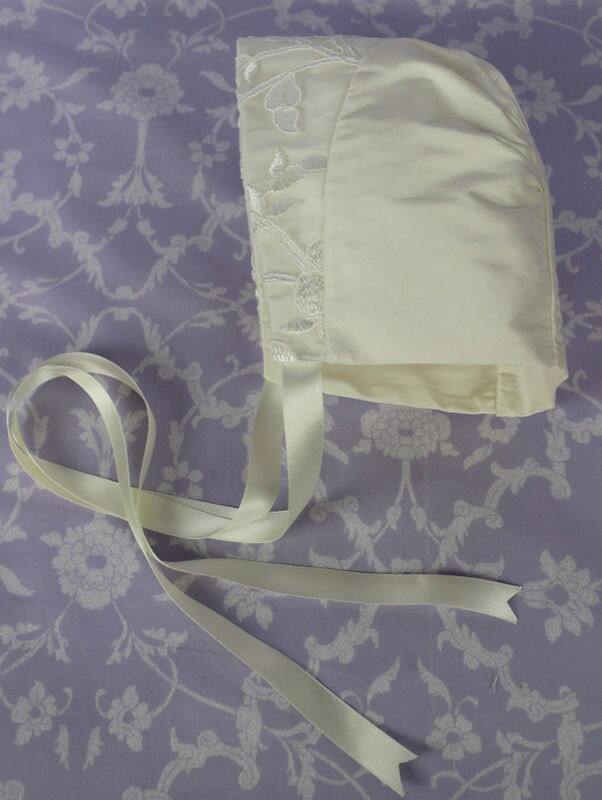 Ivory dupion silk that matches our gowns and fully lined with Satin ribbons for tying the bonnet.